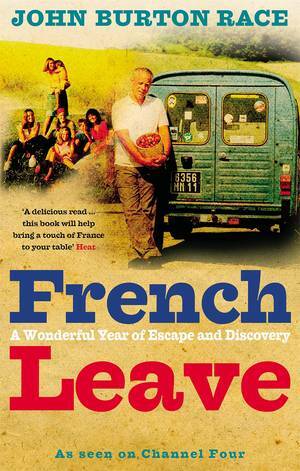 French Leave followed John Burton Race, wife Kim and six children to the South of France. There he rediscovered good home cooking using fresh, seasonal produce. 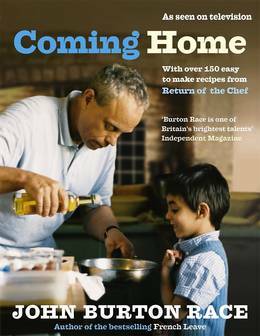 Now Home Leave finds John and the family moving to Devon where he is running The New Angel restaurant in Dartmouth. Describing Devon as 'France without the sunflowers', and taking his inspiration from the delicious fish and shellfish, delivered daily by boat to the restaurant, the Devon Ruby beef bought direct form the farm, and succulent lamb, venison and game fresh from the moors, John has created 150 brand-new recipes that anyone can cook. The simple and delicious dishes include imaginative twists on classics - Moules Marinieres becomes Mussels in Scrumpy Jack - and new interpretations of family favourites - ideas for the Sunday roast range from Roast Loin of Pork with Prunes and Apple, and Leg of Lamb in Salt Crust. Anyone who loved French Leave will enjoy this wonderful cookery book: No fancy recipes, just straightforward well-cooked food for everyone to enjoy!